After last week's double team of Zelda and Mario, I wasn't sure if I could take the excitement of another big Nintendo Download. Turns out I had nothing to worry about. Four, count 'em, four new titles hit Nintendo's various downloadable game delivery platforms this week. If you count the demo version of Sabarasa's Horizon Riders for WiiWare you could stretch it to five, but that's cheating. 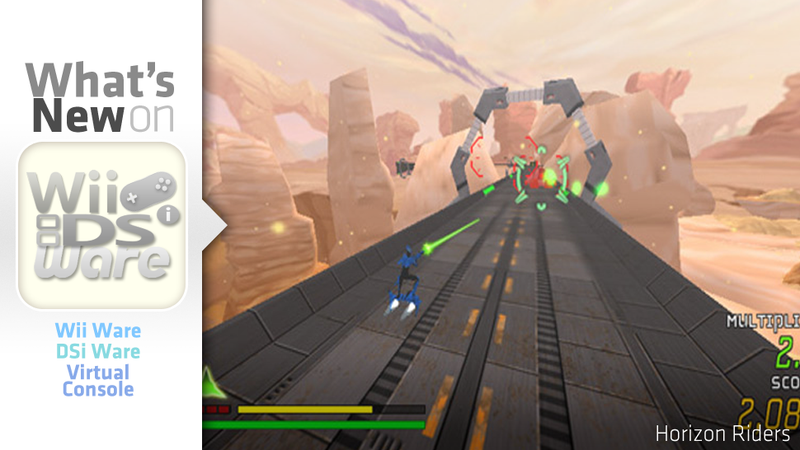 Nice to see a game and demo come out at the same time for WiiWare at least, especially one that looks as interesting as Horizon does. Other than that, there's the third installment of the House M.D. game and Simply Minesweeper for DSiWare, and the Game Boy classic Side Pocket for the 3DS. The only thing more exciting? Official game descriptions. Ready your cue stick – it's time for some billiard action. Chalk up and get ready for some cool pool action. Stroke a mean cue and you might just work your way to the big time in the Pocket Competition. Execute consecutive shots, sink by numerical order and perform amazing trick shots such as massés and jumps for a chance to earn additional points or shots. If you manage to sink a ball in a pocket marked with a star, you'll get a chance for bonuses. Test your billiard skills in two great modes: Pocket offers the traditional 16-ball game, and 9-Ball is a more contemporary version of the sport.